This program allows you to use cloth on your newborn without spending a lot of money on small diapers that they will outgrow quickly. Most newborns are too small for one-size diapers. You should be able to diaper your baby full time with this package. The cost of this program is comparable to buying disposables for one month (and perhaps cheaper than some premium brands). Newborn Naturally offers a FREE cloth diapering class so that you will know how to use and care for the diapers. You will wash the diapers at home as needed (probably every 2-3 days). This package can also help you decide if cloth diapers are the right choice for you. Cost: $40/month (Can be rented weekly after the first month for $10/week). If diapers are not returned by 4 weeks after they are due back, you will be charged for the full retail price of the package: $160. This package allows you to try many different types of cloth diapers on your baby without spending a lot of money. It can help you decide which type of diapers you like the best and will work for your baby. The cost of this program is comparable to buying disposables. Newborn Naturally offers a FREE cloth diapering class so that you will know how to use and care for the diapers. You will wash the diapers at home as needed (probably every 2 days). This package can also help you decide if cloth diapers are the right choice for you. 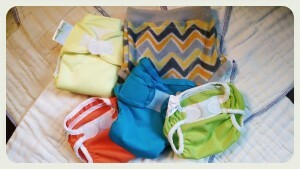 This is a trial package and is not meant for full time cloth diapering. *Diapers available in these programs may be new or gently used. Deposit is fully refunded when diapers are returned and inspected. If diapers are damaged, the cost to repair or replace items is deducted from your deposit. Your rental package may vary slightly from the above listed but will still have the same number of items to try. Diaper colors will be gender neutral. Call or email to reserve your diaper rental!